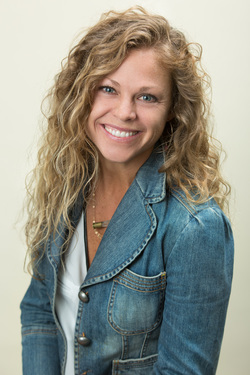 Sarah Jane Sandy, CNT, is a Functional Nutrition Therapist and Registered Yoga Teacher. Sarah has a busy practice in the Denver/Boulder area of Colorado, and nationally via telephone and Skype. Her work combines functional medicine strategies, modern science research, and nourishing traditions, a stellar combination that she has honed over the last 8+ years in her professional one-on-one & group work. Her dedication to nutrition and health stem from personal experience and observation of the incredible healing properties of quality food combined with intentional movement and emotional balance. Sarah is specifically trained in how foods and nutrients affect our reproductive and hormonal systems and offers unique nutritional programs formulated to improve hormonal and reproductive health, enhance fertility, optimize pregnancy, and strengthen postpartum health. As a functional nutritionist, Sarah’s approach to nutrition therapy is comprehensive, therapeutic and restorative. She provides excellent instruction, guidance and support using the principles of nutrition therapy, a system of healing based on the belief that food, as nature intended, provides the medicine we need to obtain and maintain a state of health. The importance of preconception care and readying the body before attempting to conceive is largely lost in our modern world. It is now widely established that the health of a mother and father-to-be significantly affects their ability to conceive. It is also well documented that the nutritional environment of a mother’s womb affects her baby’s health not only at birth and during early infancy, but for the rest of his or her life. But what is less well known is that a mother and father’s diet and lifestyle choices in the months and even years leading up to conception is equally important! Sarah is a national fertility expert and is specifically trained in how foods and nutrients affect our reproductive systems. Sarah works with a multitude of clients regarding how to optimize fertility for both men and women, the importance of preconception care, and how to treat various hormone imbalances that impede fertility (such as PCOS, endometriosis, fibroids, amenorrhea, etc). She works closely with several of the top-rated fertility doctors in the Rocky Mountain region, and has notable success designing dietary programs to strengthen fertility vibrance. Sarah offers one-on-one consultations designed to nourish reproductive health, increase fertility and improve a couple's likelihood for conception and a healthy pregnancy. Sarah also offers Hormone Lab Testing to identify and treat hormone imbalances that affect fertility. Recent research suggests the a mother’s nutritional status during, AND before, pregnancy is one of the most powerful influences on a child’s lifelong health. In fact, some researchers now believe the 9 months of pregnancy are the most consequential period of our lives, permanently influencing the wiring of the brain and the function of organs like the heart, liver and pancreas. They also suggest that the conditions we encounter in-utero shape everything from our susceptibility to disease, to our appetite and metabolism, to our intelligence and temperament. Sarah offers her one-on-one consultations that teaches pregnant mama's exactly what to eat for a healthy pregnancy, what vitamins & supplements are important to include (and why quality matters! ), what specifics to focus on during each trimester, and many other critical factors to ensure a healthy, happy pregnancy and a well nourishing baby. She also offers consultations specific to alleviating morning sickness, persistent nausea, feeling unwell, and overall experiencing a difficult pregnancy. In order for lactation to be sufficient, there must be adequate fluids, unobstructed flow through the milk ducts in the breast, and enough energy to transform fluids into milk. Consuming a lactogenic diet is an important piece of the puzzle for new mothers. A lactogenic diet refers to a choice of foods and to a manner of eating that supports breastfeeding. The benefits of a lactogenic diet include increased quantity and quality of milk production, stabilized blood sugar levels, and improved thyroid function, allowing mothers to experience less exhaustion and depression. Knowing how to eat during times when supply tends to drop is greatly empowering for the mother, and in some cases can even save a breastfeeding relationship. Sarah also offers nutrition and lifestyle modifications for treating thrush (in mom and baby) and how to prevent recurrence. Hormones affect everything. They affect your fertility, your mood, energy, weight, and happiness. You are designed to feel happy, energized and amazing in your body. Unfortunately many women don’t feel like the best version of themselves. Too many women suffer from PMS, polycystic ovaries, endometriosis, weight gain, bloating, insomnia, anxiety, depression, and more. While these are all too common, they are NOT normal. Sarah offers one-on-one consultations designed to fix hormonal chaos and get you feeling amazing again. Learning how to feed babies and growing children might be one of the most important things we do as parents. Sarah can help teach new parents what to feed baby first, why certain foods are important to start with and why others need to wait until they can be better digested and tolerated by baby. Sarah also offers various treatment recommendations for infants and children with digestive upset, reflux, colic, food sensitivities/allergies, eczema or behavioral problems. Supplementing with formula is often a reality for breastfeeding mothers, and Sarah can offer recommendations on which commercial formula is the best choice, or even better how to make homemade formula.